Those of us who follow public events (likely everyone who reads this blog!) know that our state and country are facing major challenges. An opioid abuse epidemic that claims thousands of lives each year. Growing income inequality and the economic hollowing out of rural areas. Pervasive social problems such as homelessness, child abuse and neglect, family dysfunction, and criminal justice recidivism (feel free to add your favorite calamities). While this situation may at times feel hopeless, we actually know a great deal about these problems and how they can be solved. 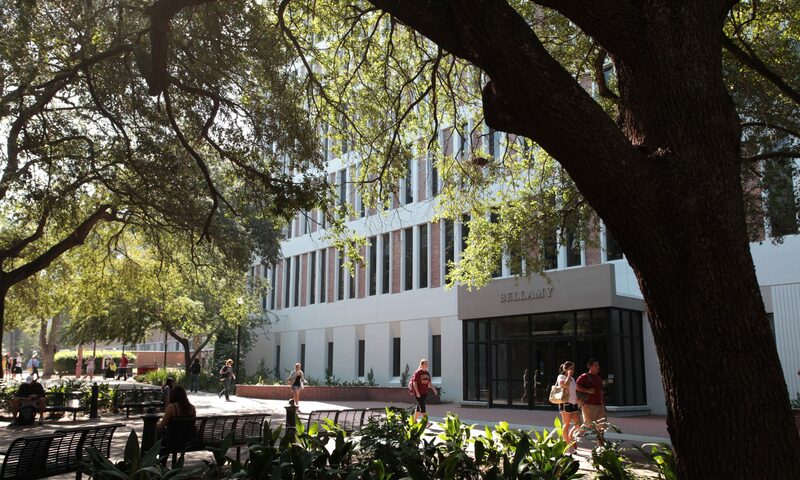 A vast amount of high quality research has been done at Florida State University and around the country to examine these challenges and test the effectiveness of alternative ways of addressing them. In addition, many research clearinghouses have been established to compile this information and compile lists of what works. Unfortunately, this information is not effectively communicated to or used by the government officials, who must making budget and policy choices. There are many reasons for this, including highly partisan politics, the difficulty of achieving policy change in a system based on inertia, and the traditional gap between “town and gown” in which policymakers and academics live in very different worlds. Nonetheless, it is up to us – the people who generate research – to try to change this dynamic. Most of us got into this business because we passionately believe that we can make the world a better place by rigorously studying practical problems and identifying ways to solve them. Effectively solving wicked problems will require a systemic approach that goes far beyond the piecemeal way that government traditionally tries to up its game. Those of us with more than a few grey hairs recall living through a seemingly endless reform initiatives that promised to dramatically improve government performance. The academy researches these initiatives and, more often than not, find that while they generated some marginal benefits, they do not deliver the promised transformational impacts. The initiative is abandoned after a few years and replaced by with the next reform fad that came down the road. A key reason why these reforms failed is that they each focused on a small slice of the overall governance process. Some sought to force policymakers to make more deliberate budget choices, while others focused on management processes. None recognized that improved policy outcomes require a focus on results throughout the entire policy system. What programs are we funding? If you don’t know what you are doing, it is hard to achieve better results. Determining what programs are in place is the first step in making better policy and program choices. Unfortunately, most governments lack basic knowledge about what they are doing – few have comprehensive program inventories, and even fewer have basic information such as how much it costs for each to serve clients. They have a high likelihood success, meaning that there is a robust body of rigorous evaluations showing that the intervention has achieved desired outcomes when appropriately implemented. They are promising, meaning that while there is less evidence regarding a program’s effectiveness, existing evaluations indicate that the approach is likely to produce positive outcomes. They are unlikely to be effective, meaning that prior evaluations have found their design to be ineffective or produce negative outcome. Their program’s effectiveness is unknown, meaning there are no reliable evaluations available attesting to their outcomes. Answering these questions enables policymakers to stop funding things that are unlikely to work and to shift resources to alternatives that have a proven track record of success. Which programs would generate the highest returns for our residents? Powerful benefit-cost models have been developed by the Washington State Institute for Public Policy (and other entities) that enable governments to analyze a wide range of programs across multiple social policy areas to predict the long-term return on investment that each is likely to achieve if implemented with fidelity. These analyses enables policymakers to determine whether reallocating existing funding could generate greater returns on the investment of taxpayer dollars. Are our programs effectively delivered? Management matters. Even the best programs will fail to achieve good results if they are poorly implemented, do not follow treatment protocols, or are serving the wrong populations. Governments must invest in training, quality assurance, and monitoring or they risk wasting money (and lives) on things that should work, but don’t. Are the programs achieving the level of predicted results? Performance measurement systems are operated by most governments but generally don’t focus on program outcomes. Focusing these systems on things that matter, and comparing the results achieved on the ground to the levels that research indicates are possible, can help government ensure that programs are operating effectively. Can we get more bang for the buck? Once we are sure that we are operating programs effectively, we can use techniques to determine if it is possible to streamline operations to improve service effectiveness while also lowering costs and improving citizens’ experiences with government. What innovative programs look promising but need to be rigorously evaluated? The world continues to change around us, and governments must be open to innovative ways of addressing new and ongoing problems. However, it is critical to rigorously test these innovations to determine whether they achieve better results than existing efforts. New programs should be piloted and rigorously tested before implemented at scale. Instead of seeking “silver bullets,” we need a “golden path” that uses the research evidence and analytical techniques developed by academics to help government make better policy, budget, and management choices. Academics need to engage with policymakers to help them target resources to programs that have a strong track record of success, ensure that programs are effectively and efficiently implemented; track key outcomes to determine whether interventions are achieving desired results, and enable agencies to continually innovate but also rigorously test new initiatives to determine if they lead to better or worse outcomes. The good news is that our research has identified solutions to today’s wicked problems as well as steps that need to be taken to put these solutions into effect. Will it be easy? No, but then few important things are. Let’s get to it. Gary VanLandingham is a Professor and a Reubin O’D Askew Senior Practitioner in Residence. Prior to joining the Askew School, Dr. VanLandingham was founding Director of the Pew-MacArthur Results First Initiative, a national initiatives which supports evidence-based policymaking in states and local governments.